Since Neptune’s Daughter I’ve been thinking of the mother and child theme (or in Neptune’s case, father and daughter. I suppose more accurately, I’ve been thinking of the symbolism of parent/protector/nuturer and child). In any case, mother and child is a classic theme in art. 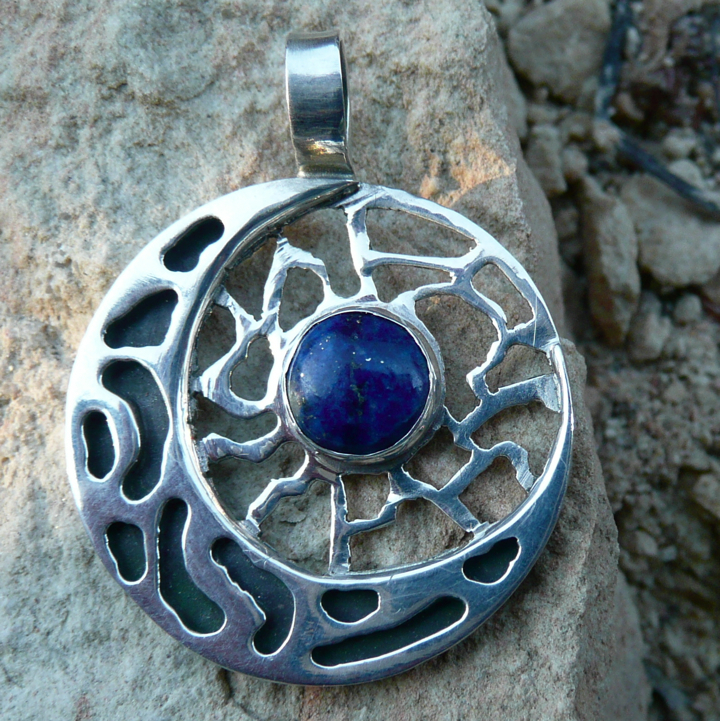 This necklace is made of two hollow forms that interlock. 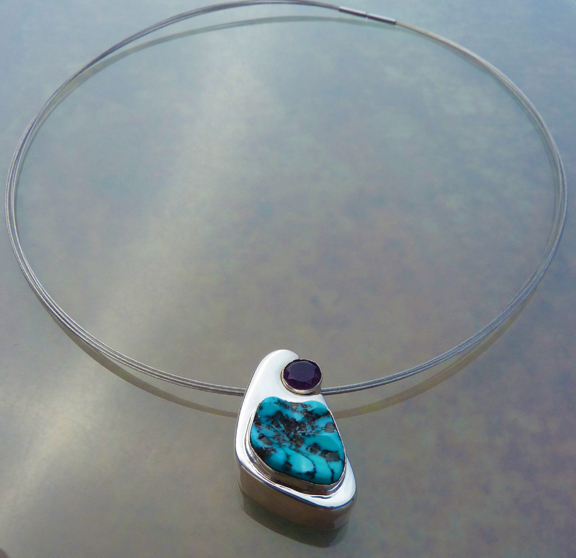 The larger piece (mother), is a organic turquoise and silver and the smaller piece (child) that nestles into it is a faceted amethyst and silver. 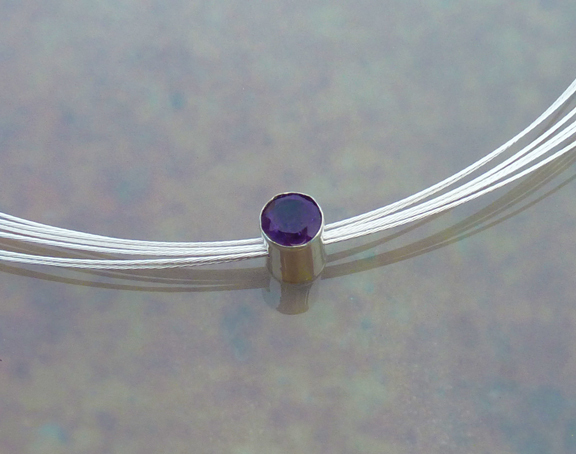 The pieces may be worn together or the amethyst bead may be worn on its own. Turquoise is said to open the throat chakra and helps the wearer open to self-expression and communication. The throat chakra is connected with divine will. Amethyst is connected to the crown chakra and opens the wearer to the divine self. It is also supposed to stimulate prophetic dreams. Turquoise and amethyst is a powerful combination! 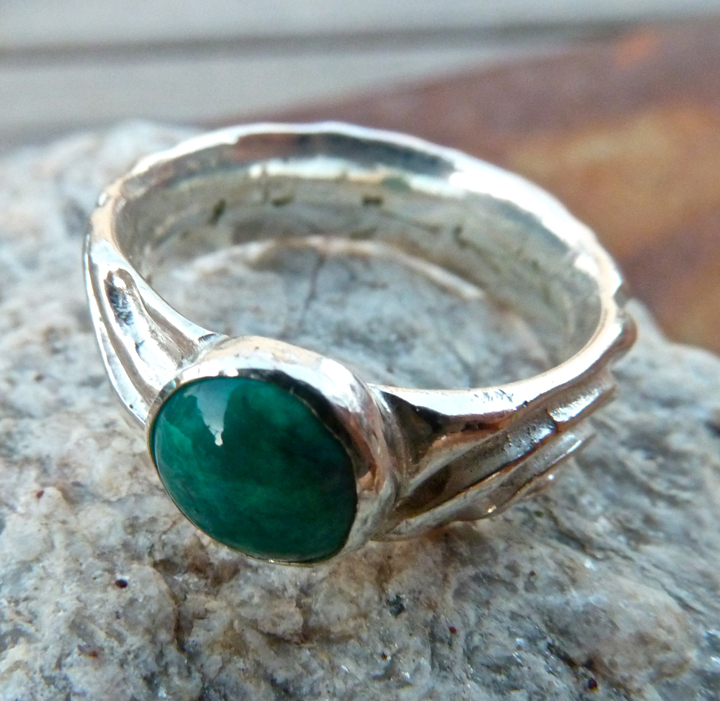 This ring features bright green chrysocolla. Chrysocolla is often used to enhance peace and tranquility, and the blue green stone is also good for communication and the throat or fifth chakra. The ring is hand-carved all the way around, and the inside is beveled for a comfortable fit. One-of-a-kind in both the carving and the stone. This piece reminds me of a breezy afternoon stroll!